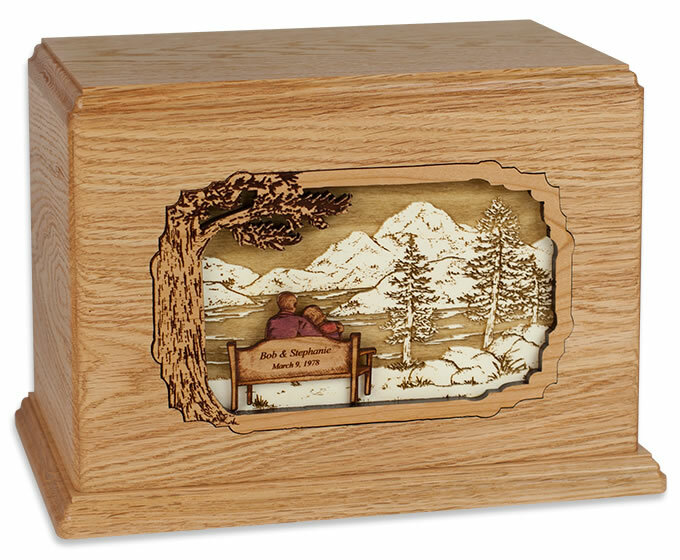 The Fishing for Trout Cremation Urn is a solid wood urn with a 3D image of a fisherman standing in a stream fly-fishing for trout. This urn is the perfect memorial for anyone who loved fishing. Several types of exotic hardwoods are used to make the three-dimensional scene on this urn. Each urn is a unique work of art and is made in the United States. 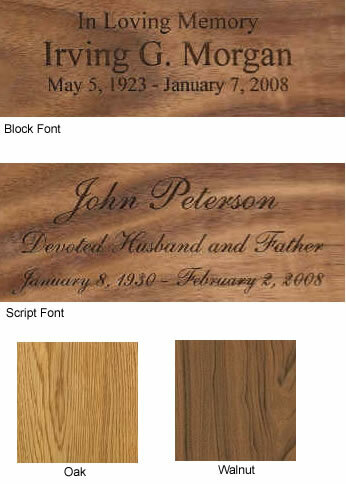 The Companion Size urn has a beveled base with no feet. Click on small photo beneath Adult Size urn to see details. Available in Oak, Walnut (shown), or Maple. Usually ships 3-5 business days after order is placed, even for expedited orders. Ships from the West Coast.